Eggert Cooling & Heating offers financing options to make cooling and heating needs affordable. 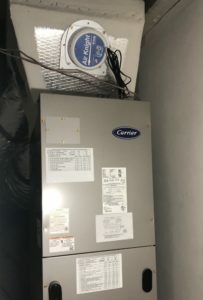 We know that sometimes that cooling and heating systems give out and require replacement, or sometimes an expensive fix. We also know that families live on budgets, and sometimes these unexpected home costs come when you least expect them. Our financing options solve this problem! We offer flexible and affordable finance options to ease this expense. Eggert Cooling and Heating has built strong relations with our lenders, and these relationships can help you with an expensive repair, or even an entirely new unit. Our lenders also offer very favorable lending terms on your cooling and heating investments. So it's never a situation where it's taking advantage of someone in a time of need, but rather helping someone finance a home project and hopefully build a long-term relationship. To learn more about our financing options call Eggert Cooling and Heating at 407-252-3785 today.